Artisan Owl designed funny "World's Best Boss" and "Dunder Mifflin" mug. A large 15 oz and full wrap printing. Safe for microwave and dishwasher with a large, easy to grip handle. 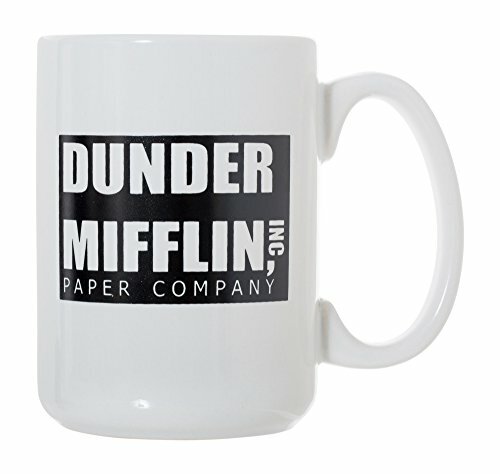 World's Best Boss / Dunder Mifflin Paper Company inspired by The Office - hilariously funny boss gift mug! High definition printing on both sides, perfect either for right or left handed users.